E-Commerce has become tremendously popular in recent years and many companies are trying to implement the same in their websites. A website with eCommerce functionality allows selling products over the internet. This is very beneficial for your customers who can easily browse your products and make purchases from the comfort of their home or office. Moreover, you can reach a larger consumer base and enhance sales significantly. Developing an eCommerce website poses various challenges. 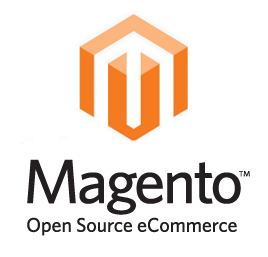 The first challenge is to hire a reliable web development company with expertise in eCommerce. Some key features of an eCommerce website and shopping cart integration, credit card compatibility, payment gateways and inventory management. These are just some of the few points that developers focus on while developing an eCommerce website. Companies offering eCommerce website development services know well about the various features and functionalities a website must have. In order to create a website that fully meets your eCommerce website development India needs, first make a list of features and functionalities you need. If you are unsure, you can check other eCommerce websites and list the features you would like to have in your website. To find a good company for developing eCommerce websites, you can search online and shortlist a few after exploring their website and service offerings. Accordingly, you can mail them about your requirements or fix up a meeting to discuss further details. You must also check their portfolio to see their work. Ask for a quote and make a decision depending on price and quality both.